I was writing a poem today, and wanted to name a character. For inspiration I looked at an old poem of mine, and borrowed its structure, but then the poem soon had a life of its own. Sorry can’t tell you which one, as it is top secret. I decided that I wanted the character’s name to be significant to the topic. Perhaps ‘Dream’ in another language would be appropriate, so I found a website to help me. It has so many beautiful sounding words for DREAM. Here are some of the words for dream that also seem to me like wonderful names. There is something so musical about them. If you don’t like knowing the secrets to conjuring tricks read no further. But if you like to have an insight into how to do them then you will like this series, the poet at play. In this series I explore how the poet, and creative writer can make their words more powerfully appear on the page, and their metaphors more astounding. It’s about ways of pushing beyond the boundaries of a cliche, and the obvious. It’s based on the belief that EVERYONE can potentially make their words salsa, waltz or tango or do the cultural dance of their origins or liking. I’ll introduce you to some of the text books I like to work with, and some of the things I have found that work for me through my own personal reading, practice and study. This week, I am working hard on new poetry for competitions and submissions. I have two metaphors that have been preoccupying me for a couple of weeks. They simply won’t go away. I even had a vivid dream based on one of them last night! I have put preliminary words down on paper. Now I am faced with the task of playing with them until they become fully formed poems. 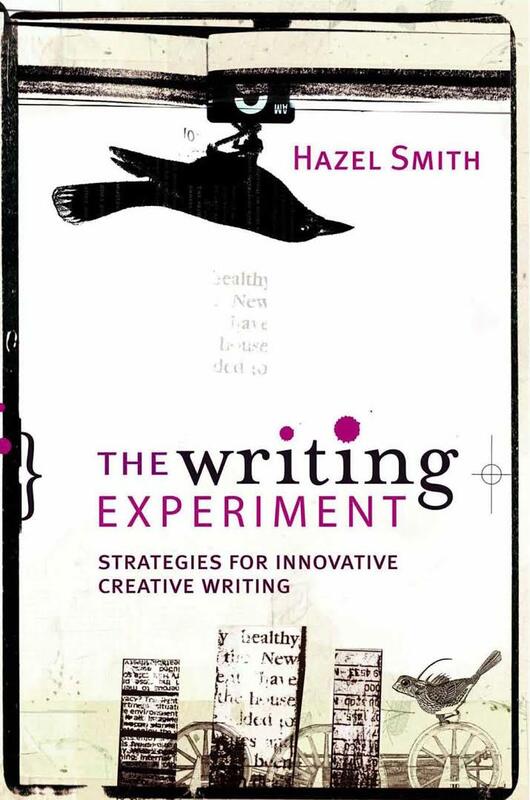 As part of this process, I am doing some creative writing exercises from Hazel’s Smith’s The Writing Experiment. I spent nearly two hours reworking two ideas, and these may turn into two poems or a suite of poems. I loved particularly Smith’s exercises on additions and substitutions, which were my main focus of this first experimenting stint. Whilst I can’t share the new poems, I thought I would demonstrate how some of the techniques from Smith’s book might work on poems I have already shared on this blog. Applying some of the techniques of Smith to past poems, here is what might happen to ‘You strip me back to the bones’ Beyond Prejudice where I substitute a new word for bones. After I have done one of these experiments I can then do some of my own work and strip away the repetition and rework again. I pull out these words: emotion, bones, outlines, thoughts, music, soul, me. Then these lines emerge as another starting point. And looking at ‘I refuse to see myself through your eyes’ from the same poem – and I continue the process as just outlined to discover new lines. I am looking down the pathway of writing my way to the mountain of my completed first draft. Using my plan and outline as a map and continuing to read books that inspire me when I become stuck, I have reached my fourth chapter. I am following the plan, but letting the characters help me construct them as I write them. I look forward to seeing you at the other end of the first draft. I was delighted to write two and a half chapters today. At this point I am trying not to censor each sentence and perfect it but rather get the character and my plot and scenes down cleanly and then I will work on other aspects in my second draft. With this draft I am determined to get my structural plot, pacing and introduction of characters very clear. I have started reading Molly and Pim and the Millions of Stars. (2016) It’s so beautifully written and delightful, you just want to read it from the first paragraph. This will be the task of my second draft. I have known Pixi, ever since we met at a Writing Group in Wollongong. She once kindly gave my family tickets to go to see Circus Oz as well when we last caught up in Brisbane over ten years ago! I was delighted to hear she has recently published a book on circus especially for children, but attractive for all ages. 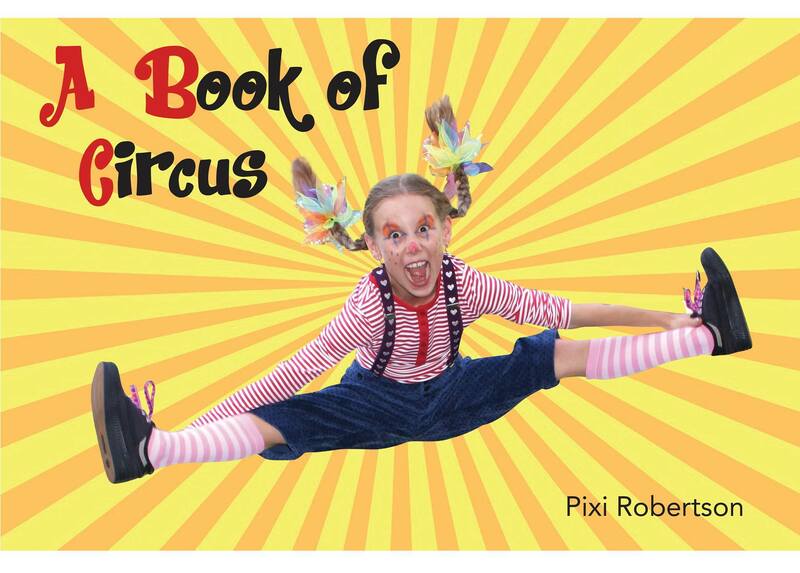 Pixi has lived and studied circus, and her book is written from a true first hand and an academic researched understanding of what circus actually is. Pixi was born in Perth and studied classical ballet. 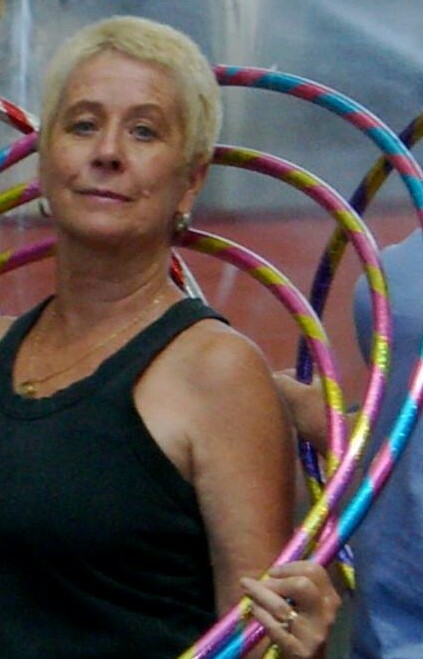 She worked on circuses in Germany and England, flying trapeze, aerial ballet, riding elephants. Back in Australia she married a fellow-performer on Swiss Circus Royale in the “big top”. A founding member of Circus Oz, Associate Artistic Director for the first three years of The Flying Fruit Fly Circus. She has an associate Degree in Visual Art at Western Australian Academy of Performing Arts (WAAPA), BA (1st Class Hons. Writing) and a Masters at Edith Cowan University. 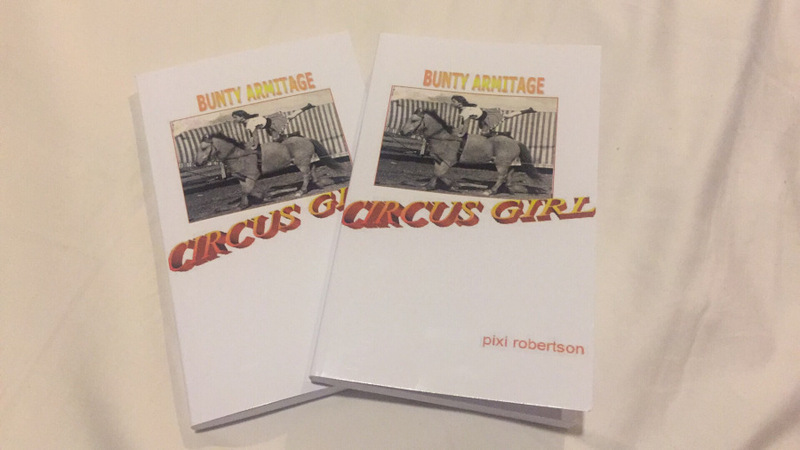 She self-published Bunty Armitage – Circus Girl (2014); Tempo – a circus romance (2015) both on Lulu.com; A Book of Circus (2017) and you can order on FB. She is the Oceania Co-ordinator, World Circus Day and Co-organiser, Australian Circus Festival. 1.What is your earliest memory of circus? Seeing Bullen Bros Circus or Ashton’s Circus, or possibly Wirth’s Circus (can’t remember which but saw them all) in early 1950s in Perth. It always rained when the circus came! My main memory, is of massed girls spinning in the air, the sound of the circus band, andthe evocative smell of exotic animals. 2.When and why did you begin to write this circus book? It grew out of another project, a serious, slightly academic picture book on the history of Australian Circus. I felt it was important to share the important cultural aspects of circus in the colonies and in the present day; most people have no idea of this rich, vibrant history. 3.Why did you pick the style of the book? And how would you describe it? This is a picture book using real photographic images of historic and contemporary circuses and performers. The use of drawn or painted illustrations was not a consideration as too much of “circus” is presented as fantasy while it is, in fact, gutsy and earthy and real. 4.Why did you independently publish your book? I’ve been submitting unsuccessfully to publishers and agents for quite some time, even though I had a Second and a Highly Commended from the Children’s Book Council of NSW “Frustrated Writers’ Awards” which ultimately led nowhere, so decided a few years ago that I just better do it myself as I can’t seem to get past the gate-keepers of the book publishing establishment. 5.Who is your main interested audience for this book? Why? The Book of Circus is designed for young circus audience members, circus fans and collectors of circus books; it has eye-appeal for children (target audience) and grandmas who buy treats at the circus. 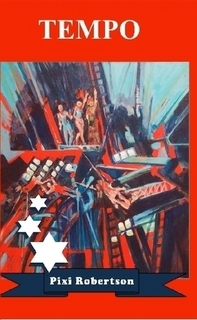 For adults it contains information about general circus history and some facts about circus animals. It is a resource for schools, libraries and other interested parties with listings for all the travelling circuses in Australia, circus schools, circus shows and circus equipment suppliers. 6.What five words would your use to describe this book? Colourful; fun; entertaining; affordable; informative. 7.Share your favourite short excerpt from the book. “Clowns are ordinary people wearing face paint and funny clothes”. 8.What is your favourite image in this book? Why? I love them all, which is why they’re in the book, but I have to admit to particularly loving “l is for lion” – young Cassius West from Stardust Circus with his favourite lion cub, just beautiful. This family of animal trainers, acrobats, aerialists and circus proprietors shares a special affinity with the Big Cats. 9.What advice would you give to anyone wanting to go into circus work? Aspiring circus performers and workers need to understand that it is a way of life, not just a job, whether you are an artiste, an animal handler, the fairy-floss maker, or the on-site school teacher. Rather like farming, really, in many ways: the weather, the outdoor aspects, the animals, the constant harassment by animal activists, but with the bonus of constantly changing scenery! So if you chose this path you have to be committed 100% to 24 hour days, 7 days a week, 52 weeks of the year. Hard work? Yes, of course, but more rewarding than you could ever imagine. 10. What advice would you give to new writers when picking a topic to write about? Let the topic pick you. I never meant to write about circus, but it just keeps happening, ha, ha! 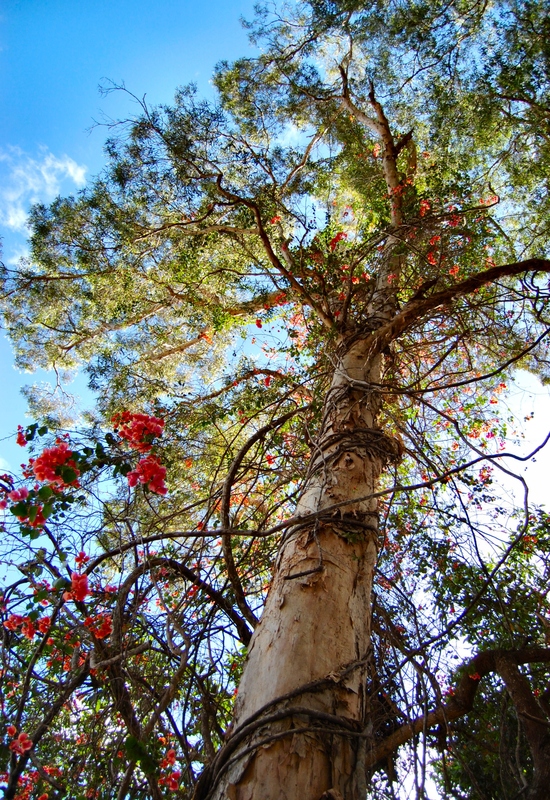 Thanks so much for appearing on the blog Pixi! May you write many more books of circus!